The WH20 Universal wall hanger is for 20 lb. fire extinguishers, including 20 lb CO2, 20 lb D/C, 17 lb Halon, and Class D Fire Extinguishers. 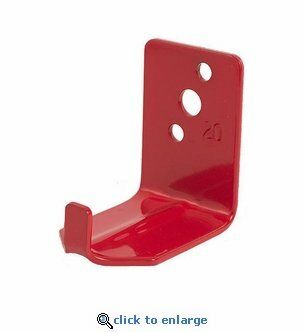 These universal wall hangers are quality manufactured of steel with a primed and powder coated paint finish.